GTA will only let me record 3-5 seconds, no idea why. only Open All Interiors, Menyoo, and TrainerV. I recorded what is going on. Any help would do great! The length of a video material that you can record in one "chunk", depends on the environment as well. This means that the more objects or peds are visible in a given area, the shorter a video chunk will be. A memory thing really. Sophisticated weather effects play a role too. And I can see some heavy rain in your clip. If you have "Open All Interiors" mod, it may be the root of the problem because this mod adds a lot of new details and dimension in the game... A point valid even more when you also have scenario groups present in these new interiors. All that extra content does not come without a cost. It still isn't working, I tried to record in SP and MP, but still the same. This happened after I downloaded a broken BMW mod, so I removed it and now it isn't recording properly. I have 43 gigs on my PC, and a 3 TB external drive. If you think there is a possible "culprit" to this behavior @Niko_CJ_Franklin, then I suggest you use a rollback mechanism in your computer and revert it to the state it was prior to the faulty mod installation. If you can, more or less, pinpoint a date before the mod was installed, you can try it out. This is what helped me lately when I installed dlc unlocker which also messed up the game during reloading and quitting process. Everything went back to normal. Except some minor bugs. But these subdued after saving the game and running it again. Then I believe it just might be the way your system works but, assuming you have about 8gb RAM as most of the players do, it is strange it works this way for you. It shouldn't! Keep in mind that repairing the game does not really "repair" it, though I don't know why... Anyway, I've been there after dlc unlocker damaged my installation and failed to fix it. 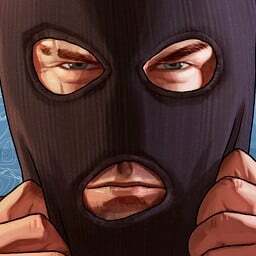 @TheMurderousCricket I reinstalled my GTA, FIXED!!!!! Perfect! I noticed that some software needs a "new start" from time to time.